A church flyer is a tool that helps churches provide information about the congregation, its activities, and the advocacy that it champions. 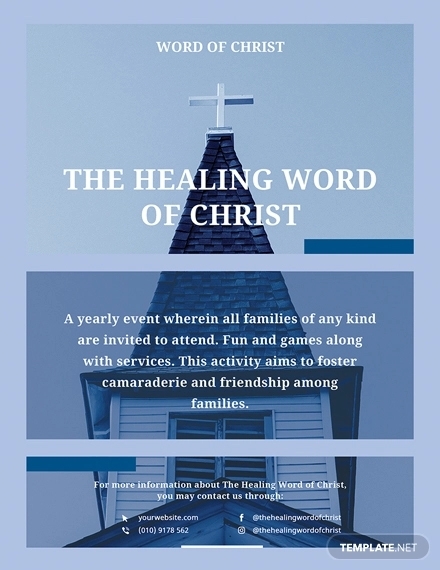 Through the usage of an effective church flyer, people can be more aware of the church’s undertakings and efforts to evangelize and spread the Word of God. Creating a church flyer also comes with its challenges especially when putting together relevant and necessary information in just one document layout. If you want to develop a church flyer that will work to your advantage, make sure that you will check out the examples and discussion available in this post. 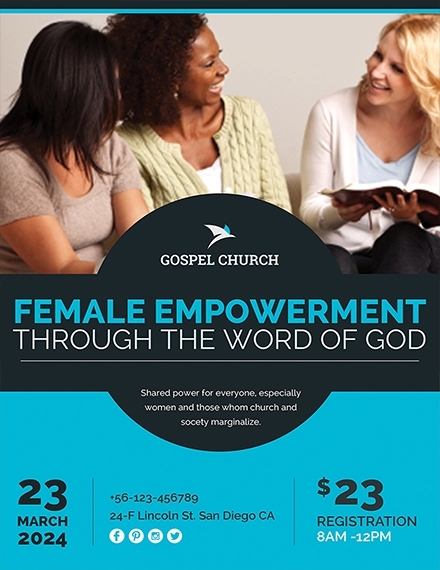 Just like when creating women’s day flyers and other kinds of flyer materials, there is a simple yet effective way on how you can develop a church flyer from scratch. Following the basic steps that will help you create an efficient church flyer with ease can be very advantageous to the organization as you can save time, effort, and resources. 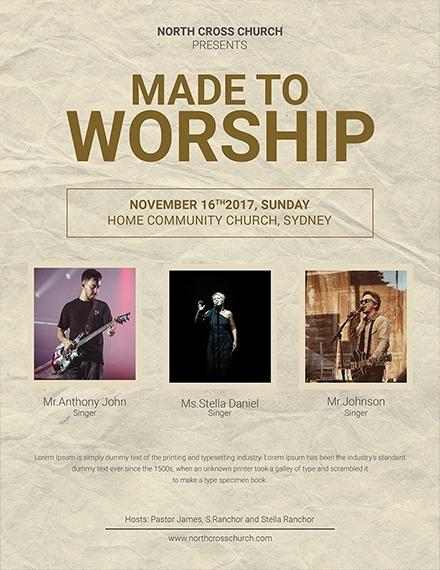 The steps that can help you design a visually appealing church flyer are presented and discussed below. Be particular with how you plan to use the church flyer so you can be guided with the information that you need to include in the document. Have an overall design idea and gather all the graphics and design items that you will use to achieve your vision. Decide on the size of the flyer and refer to templates if you want to have an easier time when formatting the document. 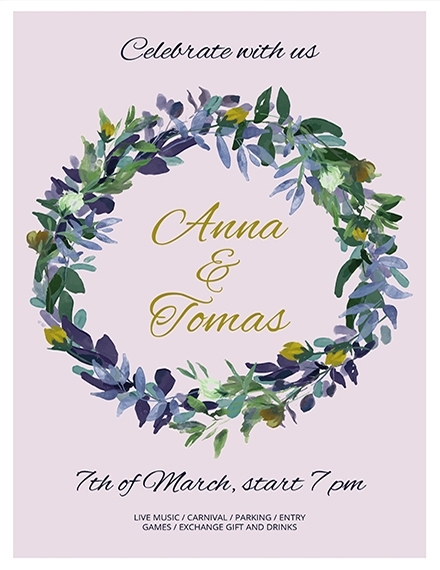 Finalize the color scheme and overall appeal that you would like the church flyer to exude. List down all the details that you want to disseminate and present them appropriately with the help of the template that you have selected. 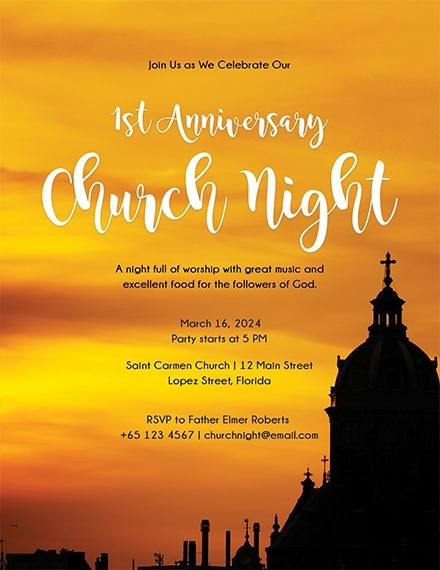 Ensure that there is alignment and organization with your content and the design of the church flyer. 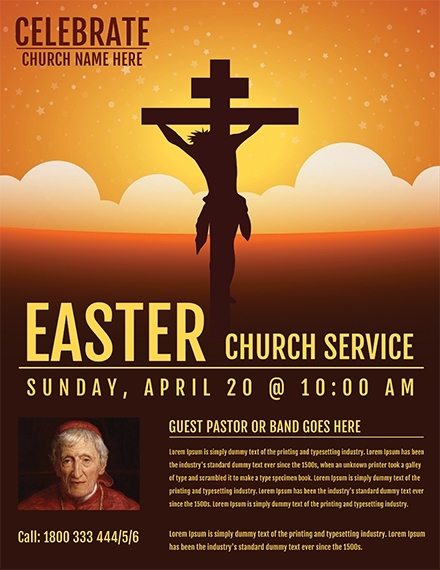 Incorporate finishing touches and review the final church flyer so you can create changes when necessary. A church flyer can come in many shapes, formats, and sizes depending on the church’s requirements. If you have no idea on how you can come up with a functional and impressive church flyer, you do not have to worry as we put together a number of tips and guidelines that can help you. Listed below are some of the tips that you can refer to if you want to create a church flyer. 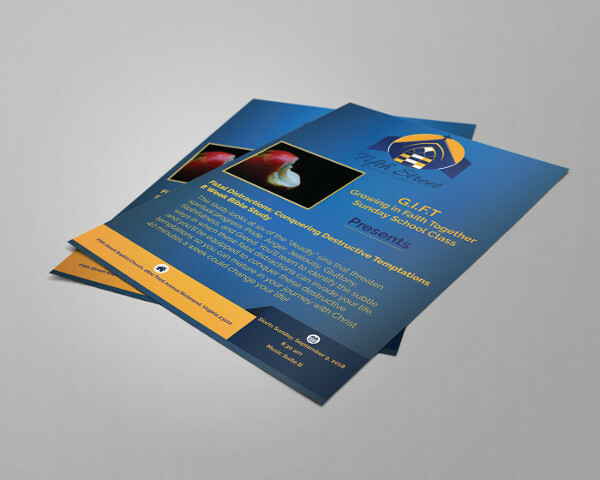 It will be advantageous on your part if you will use church flyer designs and examples as your references. 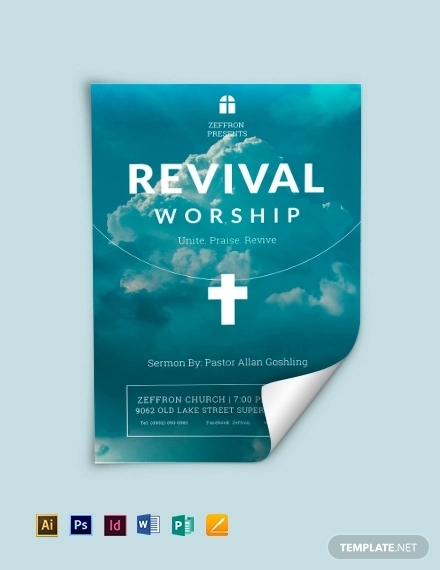 Looking into different templates and examples can help you be more sure with the type of church flyer that you want to create and present to your audience. Make sure that all the information in the church flyer are accurate and thoroughly explained. Do not confuse or mislead your target audience. With this, we recommend you to review the church flyer until you do not observe any errors in its content as well as how the details have been formatted in the flyer layout that you have selected. Are you now ready to create your own church flyer or do you need more guides for your flyer formatting needs? 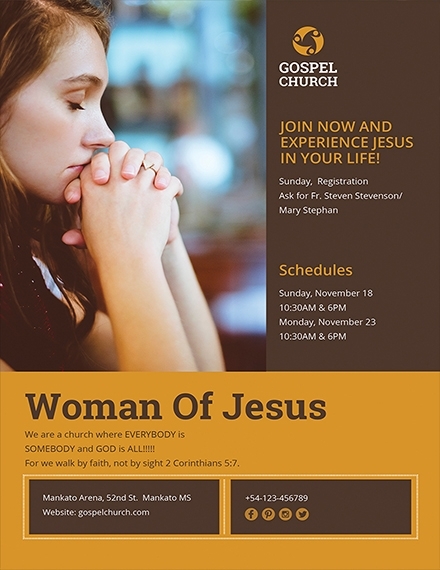 If you want to browse through more examples and templates of church flyers, feel free to visit template.net as there are a lot of formatting and content development references that you can download there. 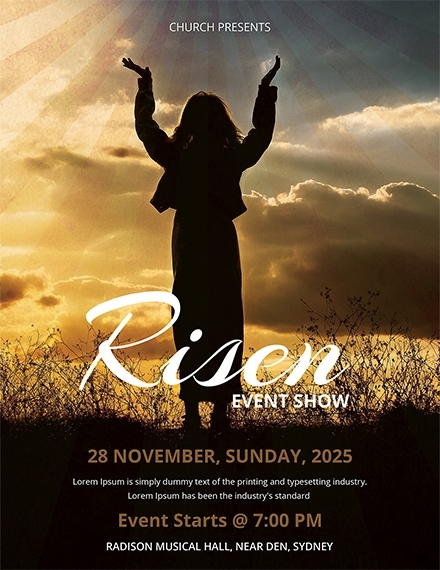 Church flyers for programs and special activities, like a Good Friday flyer design, is used to ensure that the members of the congregation are fully aware of the specifics of an event. 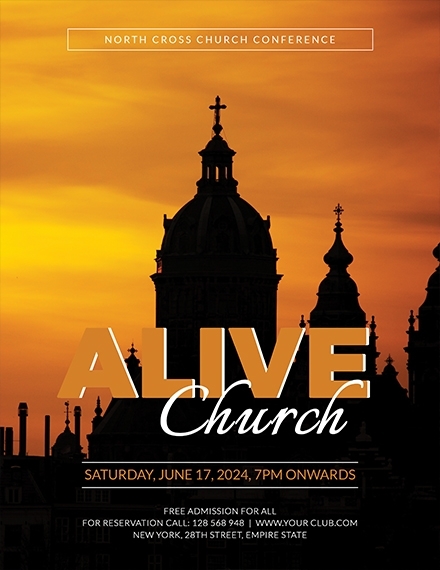 Church flyers that are done for this particular purpose commonly have the name of the event, the date and time of the program, the location where the activity will be held, and other specific information that can make it easier for the members to prepare before coming to the gathering. Church flyers for marketing and advertising are used either to gather more people who can be evangelized by the church or to get support for an advocacy. 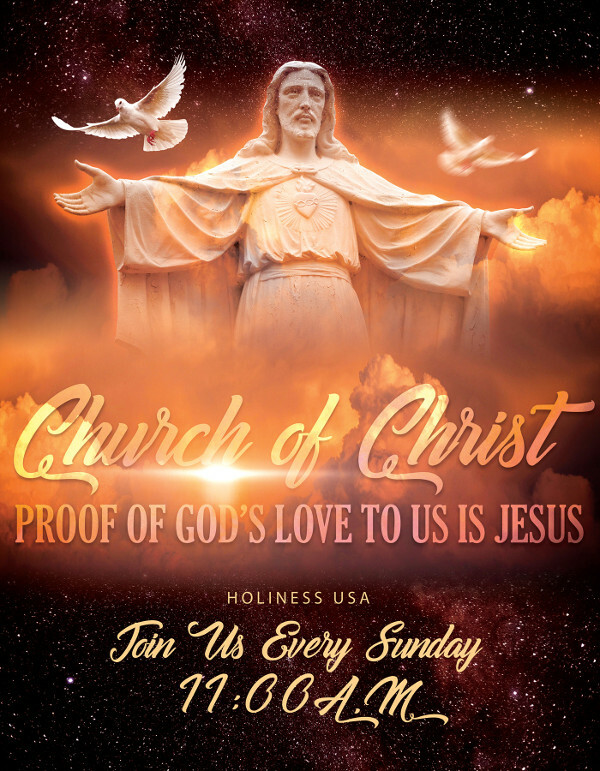 It is important for this type of church flyer to present the church accordingly and to make sure that the right message is delivered so that people can be more interested to participate and follow the call-to-actions specified in the document. What are church flyers for? Contrary to popular belief, church flyers are used not only to market churches or persuade people to join congregations. 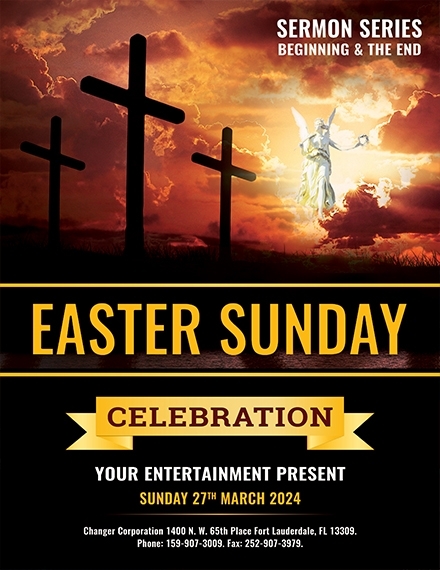 Church flyers, as we have mentioned above, can also be used to disseminate information among members of the church especially when there are special events that will occur in the future. 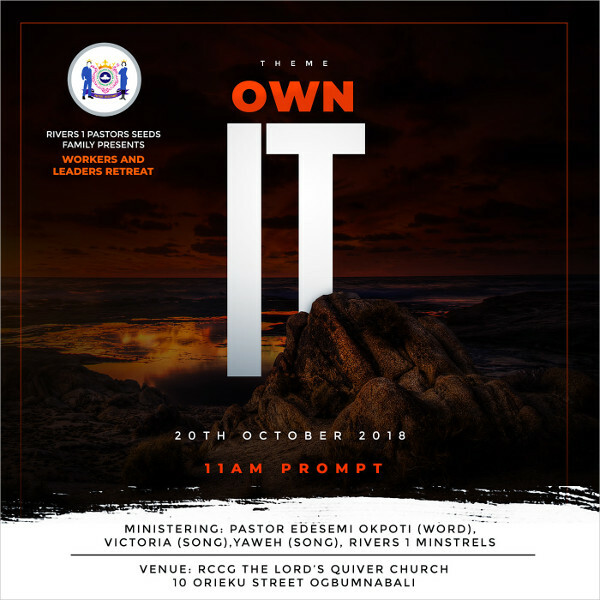 Is it necessary for churches to create flyers? Church flyers serve as marketing and informative tools that allow particular details to reach the church’s target audience. 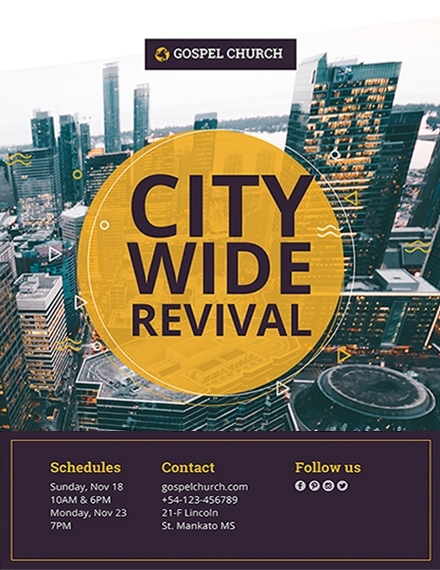 The creation and usage of church flyers are necessary as it allows the church to have an easier, faster, and more efficient time when reaching out to its members and the community. How can church flyers help religious organizations? Church flyers, like church greeting cards, help churches to be in touch with people. No matter what the purpose of the specified document’s creation is, having one at hand can give churches the ability to realize its objectives and goals in the best way possible especially when it comes to handing information accordingly.